along with this fun fitness song! "Get ready to hop 4 3 2 1"
"Now jump on the spot with both feet"
"Let 's hop again 4 3 2 1"
Voices sound different! Listen to the song. What can children tell about the voices they can hear? E.g. children singing, man speaking. 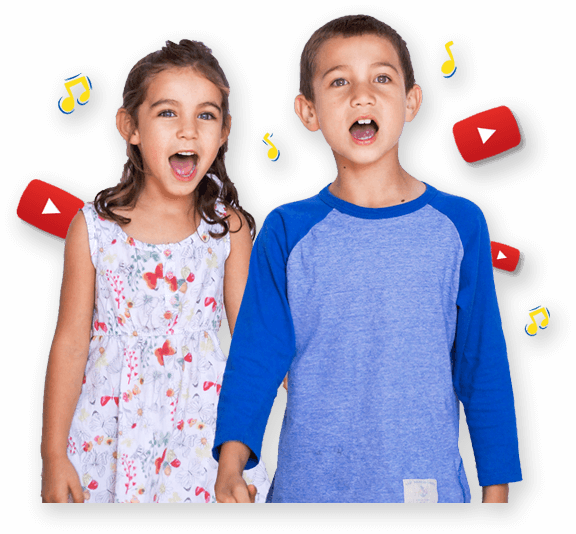 Children choose two sources of sounds e.g. body percussion (tongue clucking), instrument or found sound (tap pencil on floor). Choose one sound to play when they hear the man and the other source of sound when they hear the children. What is a locomotor move? A movement in which the body travels across space (running, creeping, rolling).What is a non-locomotor move? A movement in which the body remains anchored to one spot by a body part (for example, bending, twisting, stretching) - what kinds of movements can you spot in the song? Listen to "Hop, Hop, Hop" and ask children to suggest ideas for moves to go with each verse. Divide the children into groups of 4 - how many groups of 4 are there in the class? Can the number of children divide evenly into groups of 4 or are there some children left over?